"FLL Airport Valet” app has been created by Automated Valet® for your convenience in using the FLL Airport Valet. “FLL Airport Valet” app is a quick and easy way to make on-line valet parking reservations with FLL Airport Valet. With this app you are able to create a user profile by entering your personal and vehicle information into the app including any promotional code or coupons you may have. 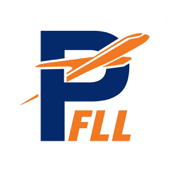 “FLL Valet” app will save your user profile information and keep up with special services you may need. Automated Valet® has adapted its award winning and innovative on-line reservation system into a mobile app that will serve as your digital valet; making your parking experience quicker and more enjoyable. Features: • Create user profile and keep up with your parking reservations and special service requests • Make reservations including the specific time and date for drop-off and pick-up of your vehicle • You may also track your rewards program, see your receipts and email them to any email address. Save and print reservation confirmation barcode or you can simply show your “FLL Airport Valet boarding pass” or rewards account barcode to the valet attendant right from your iPhone. The valet attendant will be able to scan the barcode and pull up your information right away.